The MY 40, a new unit signed by Fountaine Pajot Motor Yachts, is presented as a world premiere at the Boot Düsseldorf boat show. 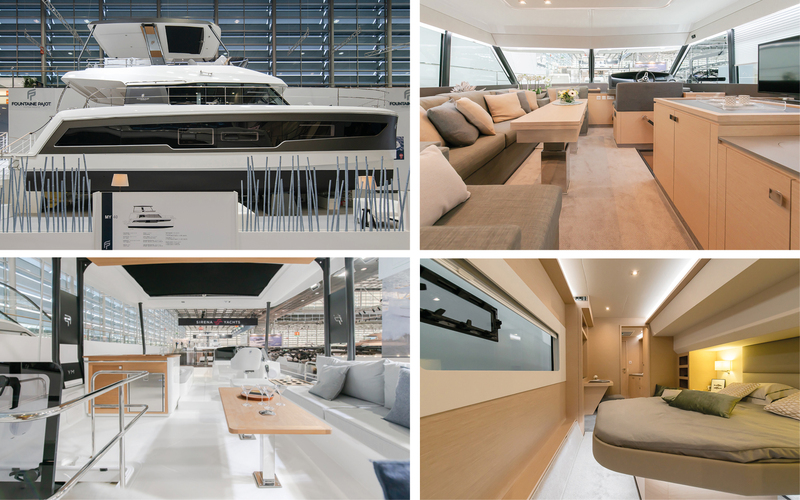 Already warmly welcomed by the specialized Press and Owners of power boats for its refined and innovative design by Pierangelo Andreani, this new Motor Yacht of 13.45 meters offers very attractive living spaces! Inspired by the assets that made the MY 44 such a success, the MY 40 combines performance and delicacy. With her fully equipped 17 sqm Flybridge, front deck lounge area and 12 sqm cockpit, the MY 40 also offers incomparable outdoor spaces for a Motor Yacht of this size.